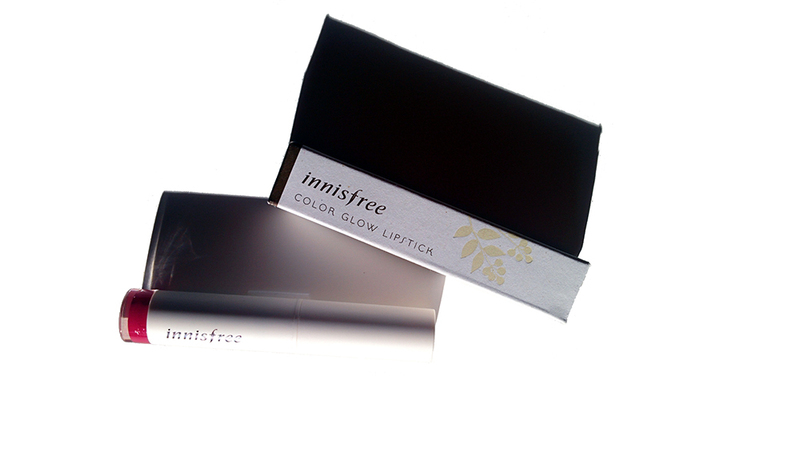 One of the few makeup items I got from Korea was Innisfree's Color Glow Lipstick. In my research for makeup products, these lipsticks came highly recommended so I knew I had to purchase one of them to try! I opted for shade number 6, Maple Burgundy Pink which is a deep pinky red fuschia. If you are familiar with Yoona of Girls Generation, this was the shade she wore in the advertisements while wearing a beige trench coat. When I first read about these lipsticks, they reminded me of Revlon's Lip Butters in that they're a hybrid between a balm and a lipstick. The box says that it has a "melting texture" and this is definitely true. When you apply it, it goes on very easily and evenly. You definitely notice the camellia oil because it feels slightly oily on your lips. Color payoff is great, and the finish is slightly shiny. I sometimes have dry lips but you would never know after a freshly applied coat of this lipstick. 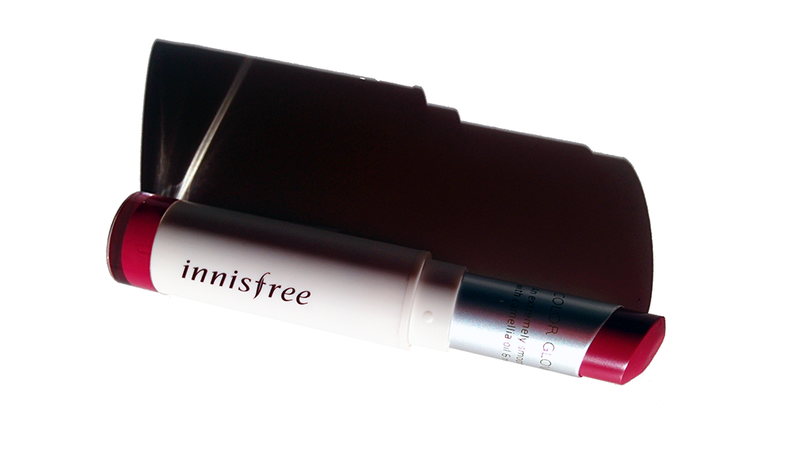 It does not have a noticeable scent which is what I prefer when it comes to lipsticks. When it comes to wear time, it fails miserably. On my lips, it barely lasts an hour. I can feel when it's fading on my lips because they no longer feel moisturized and it actually feels a little dry. Subsequently, while it's called Color Glow "Lipsticks" I felt like they were more akin to a tinted lip balm than a lipstick due to the extremely short wear time. You want a lipstick that won't accentuate flakes. You want a long lasting lipstick. 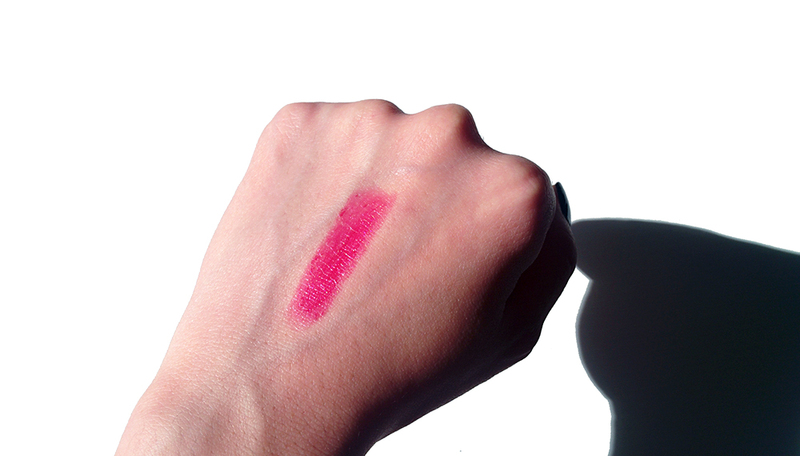 You do not like oily-like lipstick formulas. I'm happy with the color that I chose, but I'm very disappointed with the short wear time. You can purchase the shade on Amazon but it's priced at $19 which I feel is a little expensive for this particular product due to the short wear time. If you really want to try it out, I recommend asking a friend to pick it up for you the next time they travel to Korea.